Ritchie Bros.' first Texas auction of 2019 was a huge success, building momentum into the company's massive six-day Orlando, Fla., auction. In total, more than 4,800 equipment items and trucks were sold in the Feb. 12 to 13 Houston, Texas, auction for more than $45 million. A record 7,150 people from 63 countries registered to bid in the two-day Houston event, including more than 5,400 people registering to bid online. United States' buyers purchased approximately 89 percent of the equipment, including 52 percent purchased by Texas buyers, while international buyers from such countries as Germany, Vietnam and New Zealand purchased 11 percent of the equipment. Online buyers purchased 57 percent of the assets. "We smashed our Houston attendance record this week — surpassing our previous bidder record set just last November by 28 percent," said Alan McVicker, regional sales manager, Ritchie Bros. "As a result, we achieved solid pricing on most equipment categories, with particularly strong results for transportation assets." 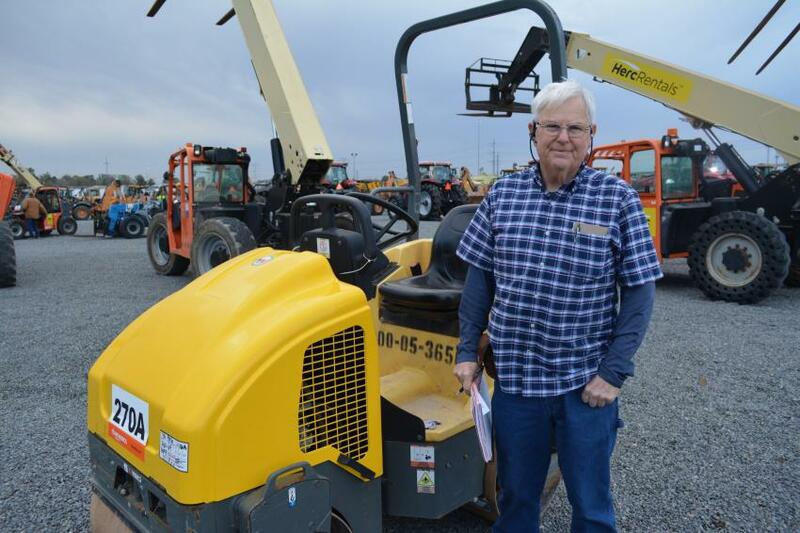 McVicker said, "With 7,150 bidders competing for 4,800 items in Houston, there were many customers unable to get the equipment or trucks they need." Equipment highlights in the Houston two-day auction included more than 300 truck tractors; more than 350 trailers; more than 80 excavators; more than 80 compactors; more than 45 skid steers; more than 40 loader backhoes; more than 35 dozers; more than 35 loaders; 30 farm tractors; 25 cranes; and more. All items were sold without minimum bids or reserve prices. The company's next onsite auction in Texas will be held in Fort Worth on March 12 to 13, 2019. For a complete list of upcoming auctions and equipment available, visit www.rbauction.com and www.ironplanet.com. 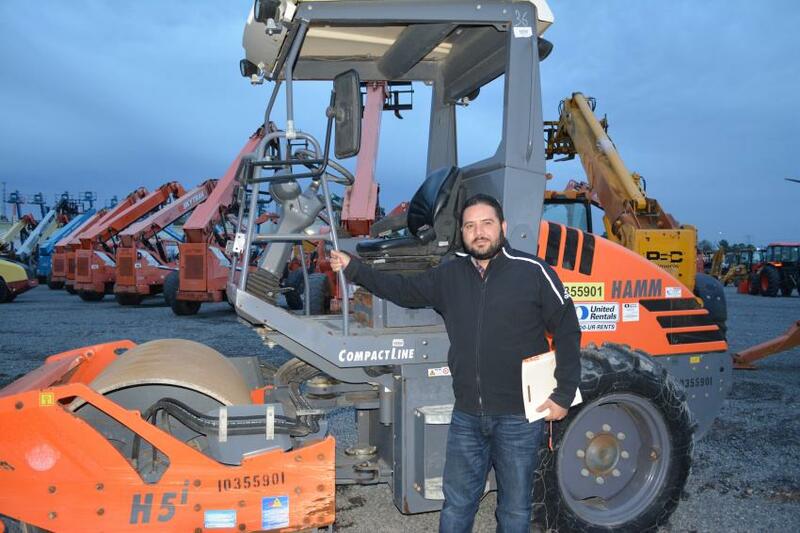 Jesus Sanchez of Pharr, Texas, is looking for a quality roller like this Hamm H5i. Sanchez is in the early stages of starting a used equipment dealership, Car Mart Motors. 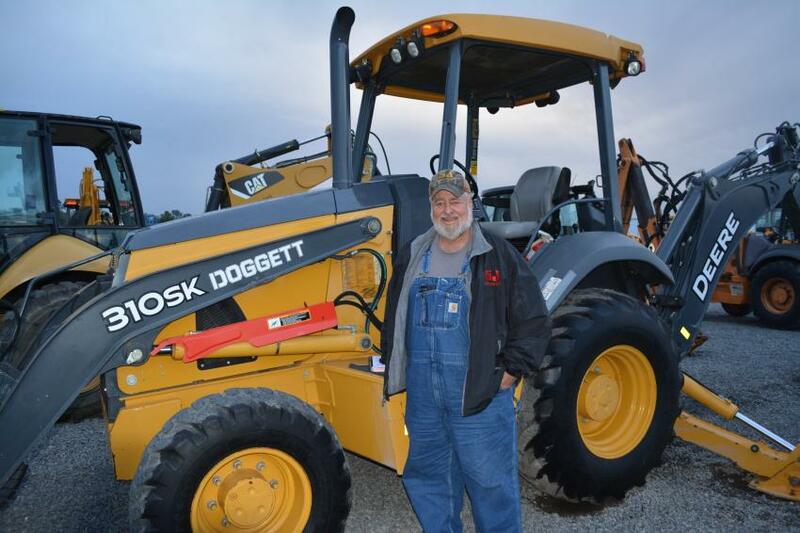 Darrell Henry of Palestine, Texas, works for 5J Oilfield Services, but said he would put this 310 SK Deere backhoe loader to work on his own property. 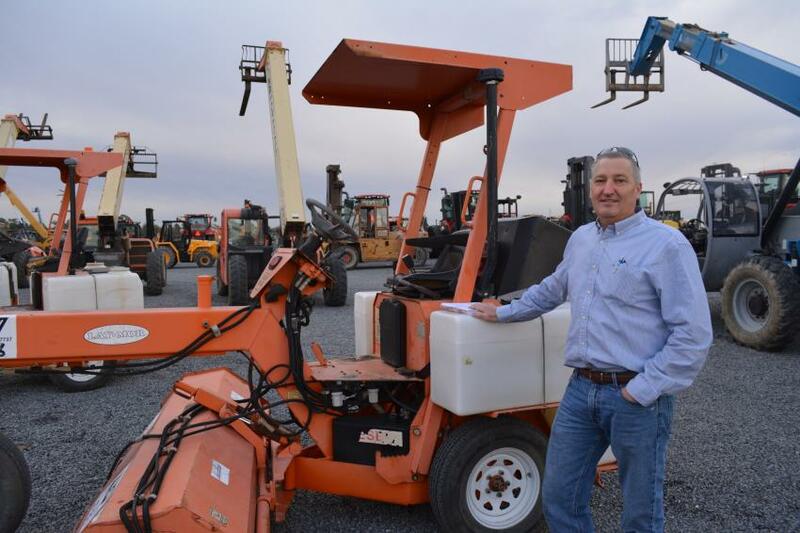 Mike Haughton, formerly a Ritchie Bros. employee in the early ’80s, now owns Haughton Equipment Services of Alma, Ark. Shown with a Wacker Neuson RD12 roller, Haughton said he was one of the first sales representatives in the United States for Ritchie Bros. 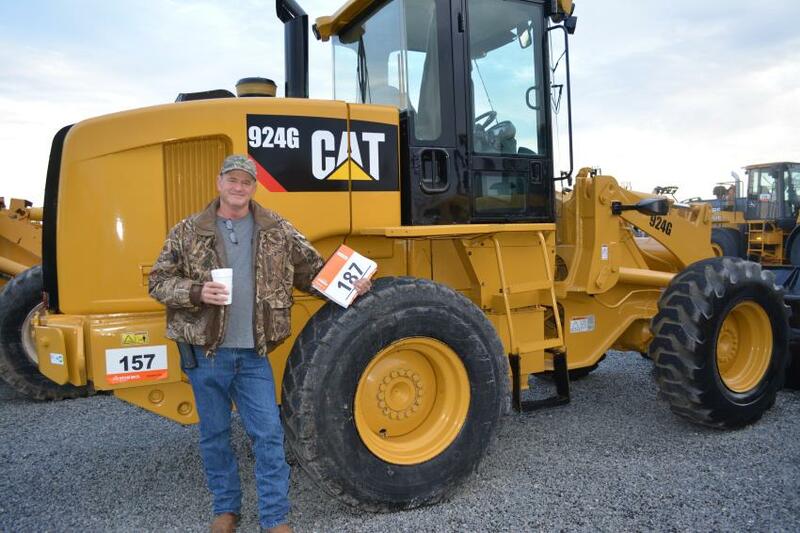 This Cat 924G loader caught the attention of Randy Putman of Dangerfield, Texas. Putman operates Randy Putman Truck Salvage. All the way from Atlasburg, Pa., Andrew Miller of Alex Paris Contracting was on hand in search of bargains. He would later bid on this Lay-Mor sweeper. 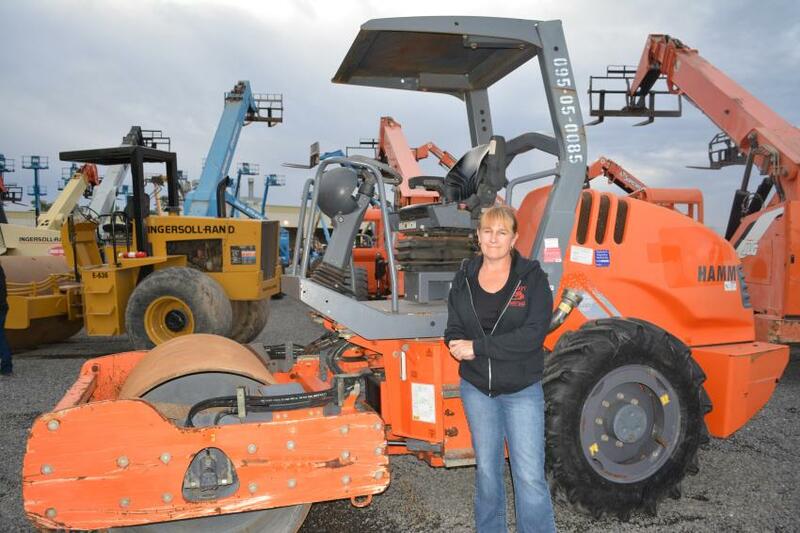 Karen Abbott of Abbott Equipment Sales travels to Houston annually for their winter sale rather than attend the Florida auctions. She said the smaller crowds allow her to better inspect the equipment she is interested in buying, like this Hamm 3205 vibratory roller. 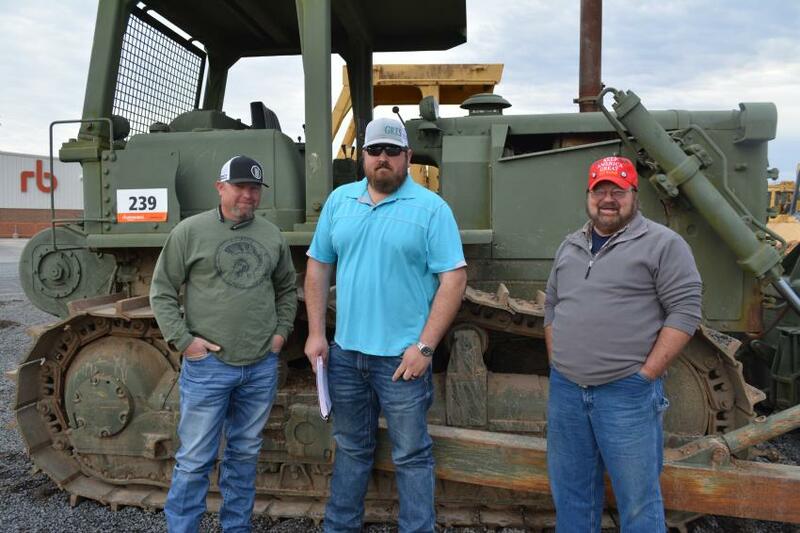 The Longview, Texas, contingent includes (L-R): Josh Milner of Milner Consultants; Devin Gentry of Gentry Transport; and Harold Wilson of Tri-W Global. The trio are closely inspecting this vintage Cat D7F crawler dozer that was up for sale. 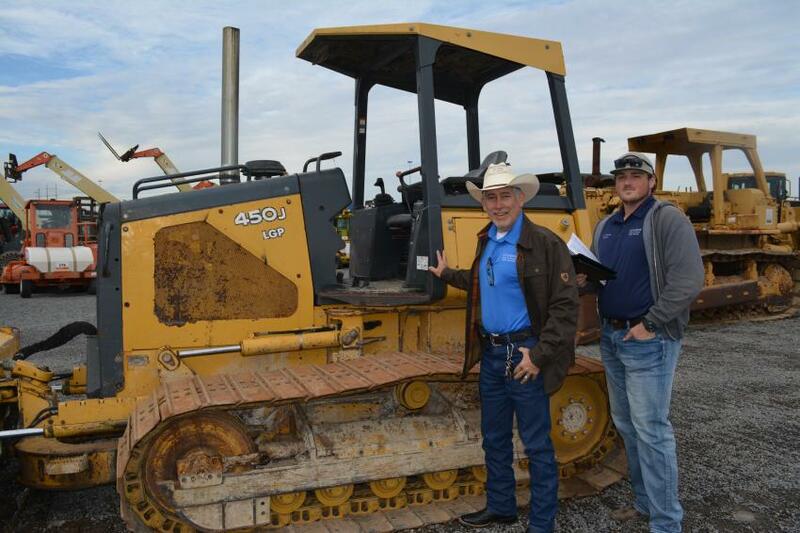 Freddie Gonzales (L), owner of Affordable Sand and Gravel in Hempstead, Texas, wants to add a dozer to his company’s fleet and took a long look at this Deere 450J. Chad Johnson, also of Affordable Sand and Gravel, is along to help.